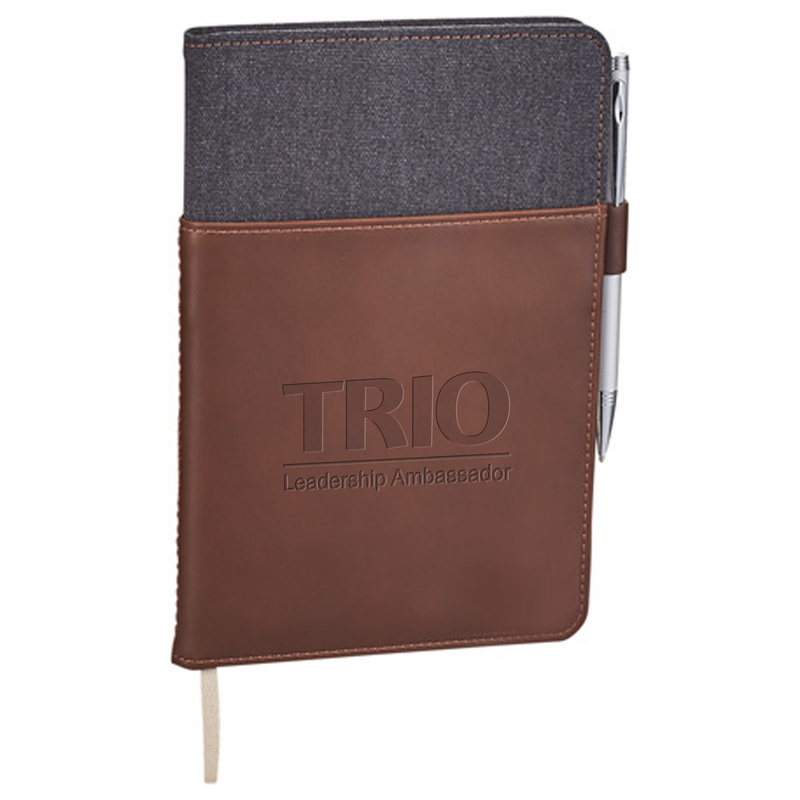 Alternative® canvas, hard cover journal with leather wrap pocket for storing documents and business cards. Leather pen loop. Cotton page marker. 96 sheets of cream lined paper. Back document pocket. Alternative branding and gift box. Proforma can decorate with any stock or custom TRIO art.